The film offers an alternative version of the epic battle between two legendary Chekavars from the villains perspective. © 2018 Scratchu.com Oru Vadakkan Veeragatha | Mammootty, Suresh Gopi, Balan K. Nair, Madhavi, Chitra, Sukumari, Captain Raju, V.K. 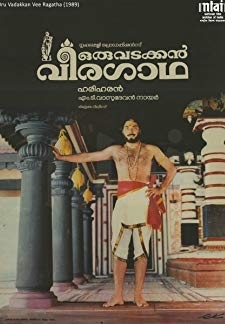 Sriraman, Geetha, Raghu, Johny, Devan, Ramu, Sanjay Mitra, Tony - Oru Vadakkan Veeragatha (1989) | Malayalam Movie | 8.6/10 | Synopsis : The film offers an alternative version of the epic battle between two legendary Chekavars from the villains perspective.... Watch Online!! !